Manchester United have reportedly stepped up their interest in signing the Manchester City youngster Jadon Sancho. Tottenham Hotspur and Arsenal have both been linked with a move for the 17-year-old attacker, and according to Manchester Evening News, the Red Devils have also joined the race in the hunt to convince the teenager to stay in Manchester. The England Under-21 international, who joined the Citizens from Watford in 2015 – has been named the Player of the Tournament at the Under-17 European Championships in Croatia back in May. 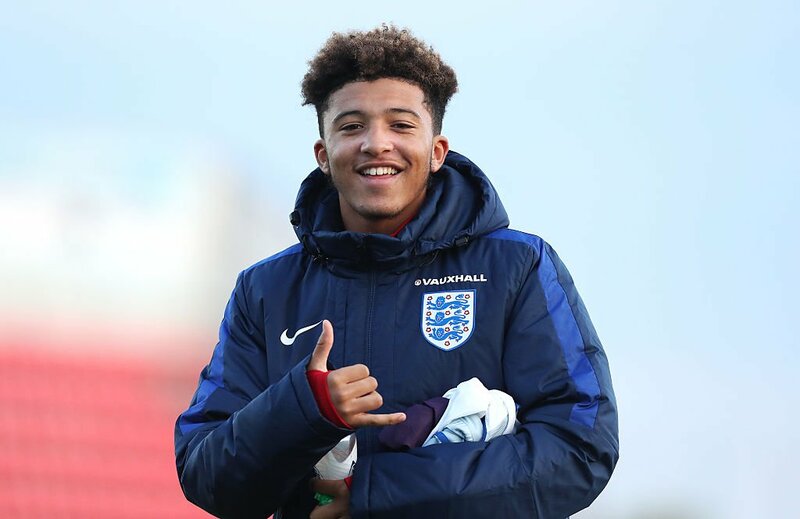 Sancho scored seven times for the Three Lions, rewarded with the best player award at this years U-17 European championships.